The Toyota Aurion (pronounced or-ree-on) is a mid-size car produced by Toyota in Australia and parts of Asia since 2006. The Aurion, given the model designation XV40 is essentially a Toyota Camry (XV40) with revised front- and rear-end treatment, along with changes to the interior. 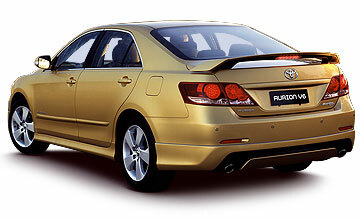 The Camry-based Aurion is also sold in the majority of East and Southeast Asia as the Toyota Camry, with the original version of the Camry sold alongside the Aurion in Australasia and the Middle East. In the previous two markets, the car replaces the Avalon model, which can trace its roots back to the early 1990s.